One of Riga’s oldest and dearest clubs has just gotten bigger, and the expansion was upward! Kaļku Vārti (the Lime Gates) has occupied an area of prime real estate on Līvu square for what seems like forever. In summer they have an outdoor beer garden and all-year-round their ground floor restaurant and basement-level club keeps guests entertained day and night. Now they have another outdoor alternative that’s only open in the evenings. Their “hanging terrace and summer garden” keeps your glasses filled until the end of the night. 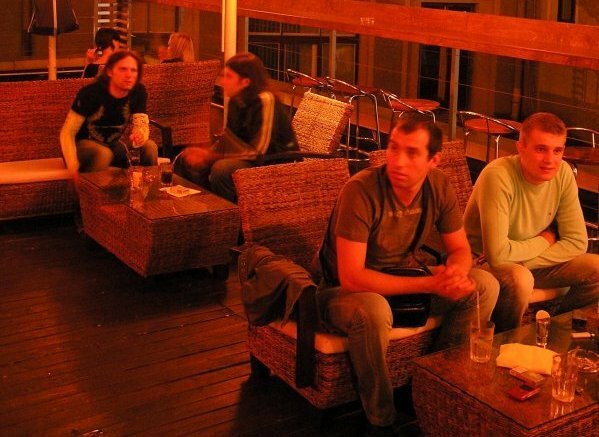 The terrace’s unique set-up offers patrons the opportunity to people-watch across the square, perched upon barstools at a counter that lines the entire perimeter of the terrace. There’s really no place like it in all of Riga. The atmosphere is relaxed and chilled, and if the barstools aren’t your thing there are casual wicker sofas and chairs to sink right into. The bar has a decent list of cocktails at prices that are expected for tourist central (€7-10 per cocktail). 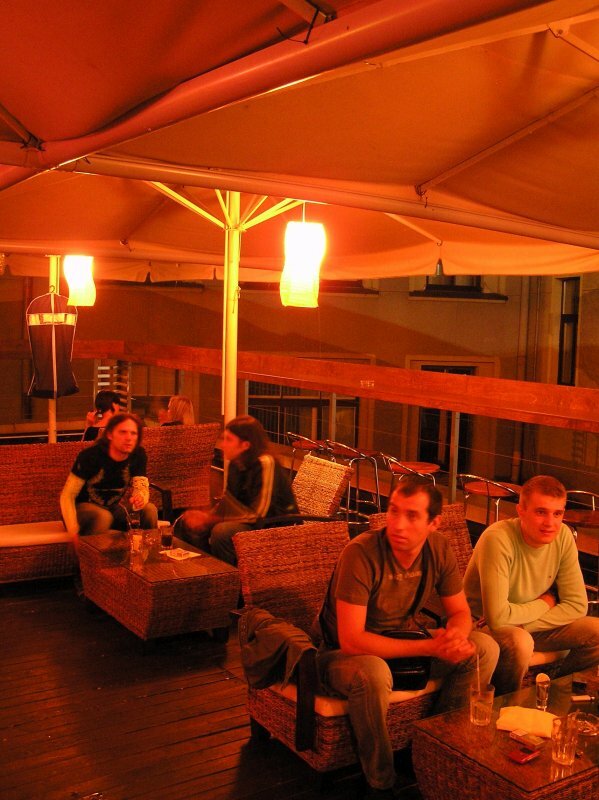 But you can sit back, relax and watch all of Riga go by at from the swankiest new terrace in the heart of the Old Town.